Are you feeling behind the curve when it comes to essential oils? Despite their long history, these potent plant compounds have never been trendier. Essential oils have been used for over a thousand years to heal wounds, reduce stress, and promote general wellness – and when you take the time to learn what they are capable of, they can work for you too. But where to begin? All those tiny vials are overwhelming if you don’t know your lavender from your lemon balm. There’s no reason to be intimidated by essential oils. Learning the basics of aromatherapy isn’t as complicated as it seems, and with a little time invested you’ll soon develop the skills for matching an oil to your situation. The first step is learning precisely what constitutes an essential oil. A hint: your bottle of olive oil doesn’t qualify. Contrary to popular belief, essential oils aren’t true oils. Instead, they are strongly scented volatile plant compounds. These ‘oils’ are composed of hundreds of carbon and hydrogen-based compounds called terpenes, and they tend to vaporize when exposed to air. In many ways, essential oils act as the blood of plants. They are responsible for sealing cuts, triggering hormone responses when the plant is under threat, and attracting pollinating insects. These compounds are so crucial for plant health that many species wouldn’t survive without them. An excellent way to understand essential oils is to think of them as the blood of plants. Like blood, these compounds seal cuts and trigger hormonal responses in plants when threatened. Unlike blood though, essential oils are only present in certain plant parts. Bark, seed pods, flowers, roots, flowers, and leaves are all options, and they usually vary from one species to another. Every essential oil contains more than 100 individual components. When you distill plant material, these oils become highly concentrated and significantly more potent. For example, just one drop of peppermint oil contains the same amount of active compounds as 28 cups of peppermint tea. While more than 100,000 scents are present in the natural world, the notoriously insensitive human nose can only identify a few hundred. Despite this limitation, certain smells can have a dramatic influence on your emotions, state of mind, and overall well-being. Others will stimulate your mind to wake you up, improve focus, and vanquish mental fatigue. Essential oils also serve a wide variety of physical purposes today, including aiding congestion, inflammation, nausea, immune system functioning, and even memory formation. Many types like tea tree oil are also valued for their antifungal, anti-bacterial, and anti-viral properties. Oftentimes, a blend of different essential oils will dramatically boost their properties. So long as you take into account different therapeutic properties of each oil you use, a combination can be significantly more potent than any oil alone. Understanding the interactions of essential oils with each other and the humans who use them is considered to be the science of aromatherapy. Aromatherapy is broadly defined as the study of scents and their impacts on people and the environment. This form of holistic healing is used to heal the mind and body alike. While humans have practiced aromatherapy in one way or another for over 6,000 years, the field has undergone tremendous development in the past century. The French chemist Rene-Maurice Gattefosse is considered to be the father of modern aromatherapy. Legend has it that in 1937 he used lavender oil to heal a severe burn on his hand. The surprisingly positive results led him to devote the rest of his life to experimenting with other essential oils to discern their benefits. Aromatherapy didn’t get established in the United States until the 1980s, but soon after essential oils started making their way into wellness products like cosmetics, lotions, and candles. Since then, the field has expanded to include trained professionals like aromatherapists and natural medicine doctors who use the power of aromatherapy to promote healing. While ancient royals and religious priests have long valued the potent powers of essential oils, it wasn’t until recent times that essential oils could be reliably extracted from plants in ways that made them accessible for the general population. Pulling essential oils from plants is a complicated process that hindered the use of essential oils for centuries. Thankfully, today there are three standard methods for extracting these oils that keep their prices down. Essential oil steam distillation involves suspending fresh plants over boiling water so that the resulting steam pulls out their essential oils. A well-placed vessel captures these oils and pushes them through a tub to cool down so that they condense into water and oil. These two compounds don’t mix, so the resulting 100% pure essential oil can be separated and bottled. Citrus essential oils and other fruits with thick peels are typically extracted through expression. This process mechanically squeezes the essential oils from the peel, much in the same way that cold pressing works for true oils like olive oil. The enfleurage process involves using odorless fats that are solid at room temperature to capture plant essential oils. Freshly picked flower petals are pressed into animal or vegetable-based fats for several days or weeks until the fat is saturated with oils. This often takes several cycles to achieve the desired concentration of oils in the fat. Because enfleurage is both costly and labor intensive, only a few essentials oils are developed this way today. If you want to get started with essential oils, you first need to know how to source the best ones. Not all oil brands are created equal, and the way that they are marketed only adds to the confusion. To ensure you get the highest quality oils possible, be sure to follow these four tips. It’s best to choose essential oils that are pure and free from extra ingredients as possible. Unfortunately, it’s all too common for rogue sellers to cut essential oils with cheaper products or to try to pass off artificial fragrances as essential oils. While these fake plant extracts might smell like the real thing, they won’t contain any of the same health benefits and might even include harmful toxins instead. Sometimes, low-grade essential oils are diluted with cheaper oils like olive oil to increase their profitability. An easy test is to dab a drop on a tissue. If it doesn’t evaporate after a few minutes, it’s not a pure essential oil. Keep in mind that price often isn’t an indicator of the quality of essential oils because dozens of low-grade brands still sell their oils for top dollar. You should grow suspicious if a brand sells all their oils at the same price point because quality oils will vary considerably in pricing based on the plant material involved. Our favorite supplier of 100% pure essential oils is Plant Therapy, as they offer a vast selection of high-quality oils that you can feel confident in using. Essential oil quality depends on factors ranging from the soil quality to drought levels and pesticide use. Because of contamination concerns, you absolutely want to source your essential oils from sustainably grown or organic sources as much as possible. How oils are stored can impact their quality over the long run. Chemical degradation occurs when oils are exposed to excessive amounts of heat, light or oxygen, and certain types of essential oils (like citrus) are especially prone to oxidation damage. Buying your oils in dark tinted glass and storing them out of heat and direct sunlight will reduce these risks. The vast array of essential oils available today can quickly become overwhelming for an amateur aromatherapist. A smart solution is to start small and build up your collection over time. This gives the opportunities to incorporate some of the most versatile oils into your life so that you can learn firsthand what uses of oils is most valuable for you. Below are the five ideal essential oils for getting started in aromatherapy. Lemon: Known for its uplifting scent, lemon essential oil is the perfect cleansing oil to keep on hand. It works well to add a few drops to a spray bottle for cleaning countertops or refreshing sticky surfaces. Lavender: This soothing oil is ideal for calming down and relaxing an anxious mind. You can add a sprinkle of lavender oil to your pillow to help you relax before sleeping, or sprinkle some in your bath to breath in the steamy vapors. It’s also possible to use lavender oil topically to reduce blemishes. Peppermint: Anyone who relies on mint gum has experienced its benefits for boosting alertness firsthand, but few people realize how helpful peppermint essential oil can be as a muscle relaxer and bug repellent. Simply sprinkle a few drops onto your scalp or back of your neck for a soothing sensation that provides relief. Frankincense: Grounding yet rejuvenating, frankincense essential oil can be taken both internally and externally. This potent oil can support healthy immune functioning as well as clear up skin imperfections. Or, you can diffuse it while meditating to cultivate a sense of relaxation. Tea Tree: Strong antifungal properties make tea tree oil an ideal natural remedy for athlete’s foot and other skin conditions, but you can also use it as a facial cleanser, mouth rinse, and natural shampoo. Not only are many essential oils too potent to be used on their own, but some even vaporize on exposure to the air. For this reason, it’s common to dilute them in a base oil called a carrier oil. This gives you the dual benefits of both oils and lets you reduce how much valuable essential oils you need to use. It’s standard practice to combine one fluid ounce of carrier oil with about 12 drops of essential oil. This creates a 2% dilution, a level considered safe for most oil types. If you have sensitive skin, it’s often best to start with a 1% dilution instead to see how you respond. Which carrier oil is best? That depends on personal preference and the results you want. Some good options include almond oil, jojoba oil, apricot kernel oil, coconut oil, and olive oil. Like when you buy essential oils, make sure you invest in high-quality oils made from organic ingredients. When it comes to mixing and using essential oils, the trickiest part is often knowing where to start. Many would-be essential oil enthusiasts get overwhelmed and drop the practice before they can begin to benefit from it. Our advice? Start small. Experiment in just a few of the following methods until you build up your experience. Your confidence and oil collection will start to grow over time. Some common methods for getting started are below. If you’re looking for an almost effortless way to benefit from oils, breathing over an open vial is the way to go. Either open a bottle and hold it up to your nose or sprinkle a few drops onto a tissue and inhale deeply. Keep your breathing relaxed as you inhale to allow the oils to better affect your physiologically, and the process will heighten your senses. Improve the benefits of breathing in an oil by infusing it into steam. Just boil about three cups of water and pour it into a shallow bowl. Add up to five drops of your choice of essential oil and lean down over the bowl with your nose about a foot from the water. Place a towel on top of your head to enclose your face over the water, and slowly breath in the steam. Stop immediately if you feel irritation in your lungs, and consider diluting the oil before attempting again. Steam inhalation is especially useful for treating respiratory issues associated with weather changes or the common cold. Even a few minutes of this treatment can clear up your sinuses. 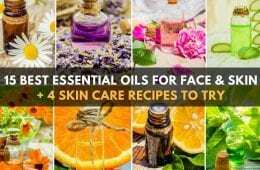 Some (but not all) essential oils can be safely applied to the skin. Because they are fat soluble, most will absorb directly into your skin. The most effective spots for treatment include the wrists, ears, temples, upper back, and even feet. First dilute the oil with a carrier oil, and massage it where you most want relief. Gentle, circular motions tend to work best. Note: Never apply an essential oil to your skin directly unless you’ve researched it to ensure that it’s safe to use topically. Hot baths improve your blood flow and can improve relaxation, and bathing or showering with essential oils is a great way to unwind. Simply decide what mood you’re trying to cultivate and create a blend of oils that complement it. Add in a few scoops of Epsom salts to create a detox bath, and drip in up to 20 drops of essential oil before settling in for a soak. If a willing friend is available, an essential oil massage is one of the best ways to clear your mind and ease tension from your body. Create a blend with your preferred carrier oil, and stress will melt from your muscles. Higher doses of essential oils often work best, so feel free to use up to 20 drops per ounce of carrier oil. The right essential oil can set a mood for your entire home. Fill a room with your preferred fragrance by using in an electronic diffuser. Just pour a few drops into the diffuser, turn it on, and breath deeply to get the benefits. This Plant Therapy diffuser recently came out top in our review of the most popular essential oil diffusers. When it comes to using essential oils, it’s common for beginners to assume they’ll get better results by increasing their concentration. Not only is this a waste of essential oil, but it can actually cause problems. It takes over 60,000 roses to make one ounce of rose oil, so a little goes a long way. Some initial planning makes all the difference for essential oils, so follow these tips for the best results! Protect Your Workspace: Some essential oils (especially citrus) are known for staining or even removing paint from furniture, so keep your space well-protected to prevent a disaster from any spills. Be Realistic About the Benefits: Essential oils are all the rage right now, meaning that many unscrupulous companies are citing unrealistic results from their use. The right essential oil blend might not prevent a heart attack, but it will help you feel less stressed. Dilution is your Friend: Lavender oil can be used straight from the vial, but other essential oils work best if you dilute them in a carrier oil first. You’ll save money in the process. Blending Oils is an Art: Essential oils all differ in potency, and a one-to-one ratio between them lows certain oils (like tea tree oil) to overpower the rest. Understanding different oil’s flashpoints will make you far more effective at mixing them. Read our guide to blending essential oils here. Store Correctly: Keep your oils in tightly sealed, darkened glass vials to extend their shelf life. It’s also smart to add a label with the date you first used it to create a base point for the oil’s age. With proper storage, most oils should last between 1-2 years. Learn about Essential Oil Safety: Essential oils, for all of their benefits, can also have negative consequences too. Some shouldn’t be applied to skin before sun exposure, many can’t be used during pregnancy and some are harmful to pets. Read our guide to essential oil safety here.